2019 World Cup qualification for Africa region enters penultimate round on Saturday August 11, 2018 with two high-profile matches that will have a big impact on who is going to Japan next year. One of the favourites, Kenya. are at home hosting Tunisia while Namibia rests this weekend ahead of next week's season finale in Windhoek where they host the Kenyan side. It could however be decided this weekend; if Kenya loses to Tunisia then Namibia will seal a place in next year's Rugby World Cup. Kenya needs to pick maximum points against Tunisia ahead of what will be 'winner takes it all' against Namibia. 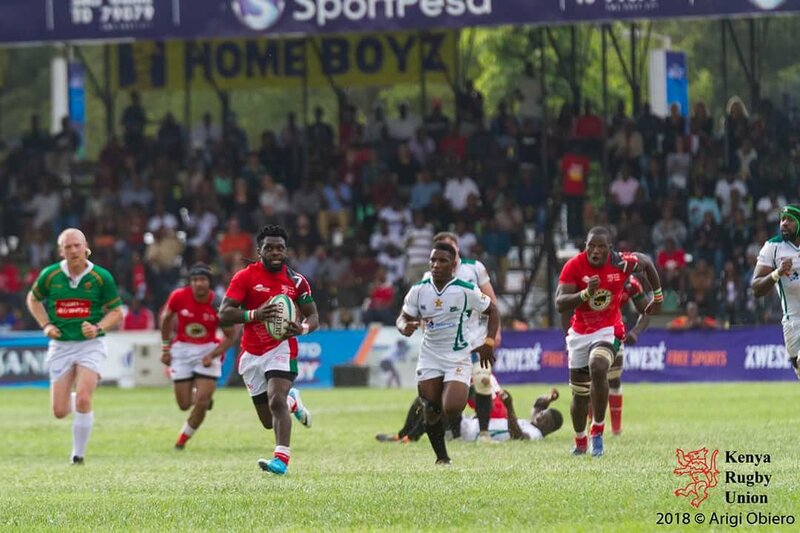 The 2018 Africa Gold Cup is doubling up as qualifier for 2019 Rugby World Cup to be held in Japan with the competition's winner getting the sole ticket as Africa 1.Runners-up, Africa 2, will head to global repechage in November for the last chance to qualify for the World Cup. They will play Canada, Germany and Hong Kong. Uganda welcomes Morocco in the second match of the week. The Cranes still have a chance of finishing second may them win their last two matches and hope Kenya stumbles along the way. Tunisia, Morocco and Zimbabwe are all fighting relegation. Last round of matches on August 18 will see Uganda host Zimbabwe, Tunisia play Morocco and Namibia host Kenya.